Today you’re going to see some excellent blog WordPress themes which through you will be able to create clean & stunning look blog websites. All the themes below have responsive design means your website will be optimized automatically on every device screens. Maximum of the themes below offer variety type of layout concepts that will allow you to introduce your contents in different ways. All theme configuration options you will find in the theme option panel, though some theme integrated the live customizer which is a great thing. The best part of the customizer is that you can see the changes before going live. Some theme offers real time live preview means the changes will happen in real time. Lot of shortcode elements you will find with each theme. You can use those for implementing various kind of page elements such as buttons, columns, tabs, accordions, toggle & many more. Let’s see those WordPress blog themes. This theme will be perfectly suitable if you need a clean design blog WordPress theme with multiple layout variations. The layout options are masonry, standard, list & grid. It offers four different excellent layouts which through you will be able to display various content types as it supports post formats such as video, gallery, audio, standard & others. Some excellent animations & effects included in this theme for increasing user experience so that you can get better conversation rate & more pageviews. All the necessary page templates are available such as about us, multiple contact pages that integrated with contact form 7 plugin etc. All these layouts are fully responsive & support retina screens. You will have a premium drag & drop page builder which will allow you to create unique & modern design pages. Choose whatever color you like for your project. Famly comes with unlimited color variations. Not only that, if you need unique sidebar for each page or any particular page you will be able to do that even you can use fullwidth template in case you don’t need to use sidebars. Though it was created for fashion niche sites but it can be still used for other regular blog purposes also. It offers two different concepts such as personal blog & magazine. You can choose your preferable header styles from it’s five different header layouts. Most of the component like meta elements such as author, comments, date etc can be enable or disable so you can hide those elements which are not important for you. Falive used HTML5, CSS3 & jQuery tricks to design the pages which you can use to grab your visitor’s attention. You will have plenty of options for the layouts like boxed & wide. All the theme option settings are included with the WordPress native customizer which is another interesting part of this theme. You can preview your changes before going live through the customizer. You will not only be able to create a stunning blog website for writing articles also you can sell your products using the WooCommerce plugin which is an e-commerce solution for WordPress powered websites that is currently powering 31% online shops on the web. 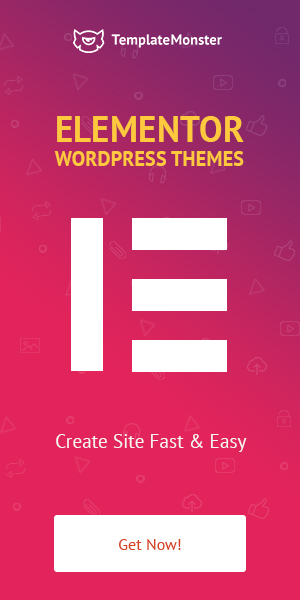 This theme comes with fully integration with this plugin & offers custom design shop pages like shop, product category, product details, cart, checkout & other necessary options. Chic includes some custom widgets such as social, newsletter, about me, add spots, recent posts etc which you can use in the widgets area. Your website can be displayed with any of your chosen color as it supports unlimited color variations. The live customizer panel used to create theme options so you can see what’s happening when you change something which will help you to preview how your content looks like before hitting the publish button. Blogo is another excellent theme that built for bloggers & writers. It included with different blog layouts such as grid, list & standard which will allow you to introduce your amazing contents in different ways. It designed with highly focused on readability so that your articles can talk with your readers. All the post formats are available such as link, quote, video, audio, aside & others. You can even introduce your self-hosted audio & video contents as it added that feature into this theme. 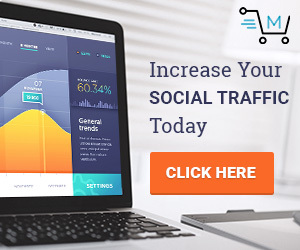 It offers quite fancy zig-zag style & comes with various column layouts with sidebar & no sidebar option which will be beneficial for you when you need different layout for any particular post/page. Frida uses the most popular contact form plugin contact form 7. Another excellent part is that header options. Doesn’t matter how many users are using this blog WordPress theme, you can use the four pre-designed header options for uniquely introducing your contents. This theme offers almost same kind of features that we have described above for other themes. It will be perfect for personal blog websites. You don’t need to worry about your smartphone users because PaulBlack supports responsive technology. This will optimize your site elements automatically according to screen sizes. For giving you more flexibility it packed with multiple header options like other themes above. Origin created by ElegantThemes who are one of the popular 3rd party WordPress theme provider. It’s fully responsive, provides excellent & clean designed layouts. The layout is in grid style & a fixed sidebar is included where you can display your widgets along with toggle multi-level menus. Here is another excellent magazine style WordPress theme that designed using responsive technology along with tons of other features. 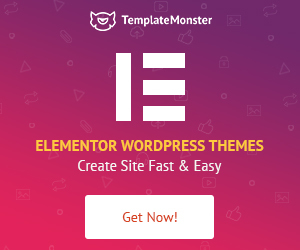 It was created by TeslaThemes & integrated their own option framework for managing theme settings like typography, layout styles, colors & many more. Lot of shortcode components included for which you can use to implement various web page elements such as pricing tables, buttons, tabs, accordions & some others. The design quality is great, looks pixel perfect. Various type of carousel slider you will see in the homepage which will allows you to display your contents differently. This will help your visitor’s to find different content with different categories on the homepage instead of standard post listing. By using this responsive theme you will be able to introduce your identity such as your skills, about yourself & as well as other information’s. On the homepage you will find a fullscreen slider along with some other styled content area’s where all your information’s like blog posts, your picture with your storylines etc can be displayed. Other important pages such as about yourself, your skills, contact etc are also included. The filterable gallery you can use to showcase your amazing portfolios or any other content you like to display. For making your portfolio’s more attractive a pop-up modal portfolio preview option available with left/right navigation so that your clients can view them with ease. Caesar looks very clean & simple. For minimal design lovers this blog theme will be best. It does not offer tons of features but you can quickly turn your blog in live online by using its easy to use settings. Caesar support responsive design & retina display. If you like parallax animation’s then Liam Hamilton will be your excellent choice. This theme features some modern parallax effects which through you will be able to create a professional looking personal blog website. It offers pre-designed sidebar widgets for displaying categories, recent posts & others. If you’re working with any creative profession then you must have some amazing works done already right? You will be able to showcase them in a filterable gallery with pop-up preview. A dynamic contact form is available along with Google map in the contact page so you can make a communication way through your users. Eston is another simple blog theme for WordPress which provides easy to read & clean design layouts. It comes with only one layout concept (left sidebar). Eston uses the most popular contact form 7 plugin to create the contact page. This will allow you to communicate with your clients or your readers. The typography of this theme looks quick nice. You will have full control over your theme settings which you can find in the live customizer. This is a grid based WordPress theme for blog websites which offers modern web elements, multiple content types like video, image gallery, audio & other post formats. A off-canvas menu area you will have with smooth effects where your widgets can be displayed nicely. It’s responsive & also supports retina screens. You can choose any color you like for your website because Mono integrated with unlimited color options. Not only that, you can enable/disable various page elements like author box, related posts & other elements by using the page setting options. Sondos comes with lot of nice features that you can use to create your blog such as 7 post formats like audio, video, gallery, standard & others. The unlimited color feature lets you put your own color scheme so doesn’t matter how many users are using this theme. You can make your website unique with that. You will have different kind of sidebar areas where you can display your widgets. Theme options are available in the live customizer from where you can change your theme settings. This theme offers some easy to use options for customizing web page elements such as you can set Google fonts, you can choose your own color by using the colorpicker, Google map & other features also. As a niche theme it doesn’t offers huge features but you will get different page layout for presenting your content like fullwidth template. Typist integrated with the live customizer means you will find all theme option panel in there. You can view changes before hitting the publish button. It designed using HTML5 & css3 technology. This is quite stylish blog theme that comes with beautiful typography, post formats, simple layout concepts & others. Share looks totally modern & has unique design concept. This theme is fully responsive & support all kind of retina devices which means that no matter which devices your visitors are using, your website will look always amazing. All the major social media platforms are included. If you ever need to integrate other languages into your site you can do that easily by using the WPML plugin. Voux is an excellent magazine style theme which comes with some nice features & premium extensions like visual composer. It’s a drag & drop page builder plugin. It will let’s you create unique design pages with ease. You don’t need to know any coding knowledge for designing your pages. You can use its pre-built content elements by using drag & drop interface. It offers responsive & retina ready design. 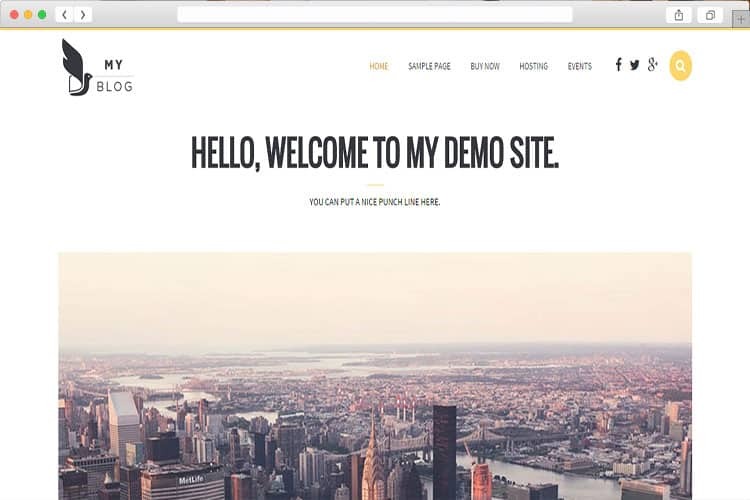 You can use the demo data to start your business quickly. The look is quite impressive, seems eye-cachy & crystal clean. Though you will be able to change the looks like color, typography, fonts etc by using the theme option panel where all the theme configuration options should be available. MyBlog comes with clean & minimal design concept. It’s fully niche theme for blog websites. MyBlog gives you two different kind of homepage variations with some options which through you will be able to customize your website easily. This theme looks clean & fresh, integrated with all the major social platform. It’s fully translatable & offers unlimited color variations. InFashion comes with a touch & swipe enable carousel slider where you can feature some of your articles on the bottom of your header. Its backend developed using the redux framework which is a popular WordPress theme option plugin. This plugin offers easy to use option management system which through theme developers can create powerful theme option panel for their products. Besides, your website will be automatically optimized because of the responsive technology integration. You can easily change your website color by using the color pickers. Not only that, if you don’t like the default typography you can change that according to your needs. It’s another two column based simple but clean WordPress theme. It offers fully responsive design. The typography & other elements are looking great. You will be able to post various kind of contents as it supports most of the post formats such as image, video, gallery, status, audio, chat, link & quote. This theme will be best for CV, Video & of course personal blog websites. It comes with huge layout options for video, audio, standard etc. You can showcase your contents in various styles because it integrated lot of blog listing styles such as grid, list, masonry & many more. You can introduce yourself nicely as it gives you all the features that a CV/Resume website needs. Personal gives you the ability to choose box or wide layout with background color/image. The most popular commenting system Disqus is integrated so you can use that tool with ease. Custom like & dislike system is available which through your readers can rate your contents. This is a nice integration & will be perfect for you in case you don’t like the default social media like buttons. Rosemary looks clean, minimal & modern. It could be your nice pickup. Rosemary includes a carousel slider where you can feature your contents for getting maximum expose in case you want on some especial contents. It packed with five different blog layouts & all have excellent design & visual appearance. Merapi offers grid based layout design with beautiful color concept. Lot of css3 hover effects & animations are included, not only that you will be able to publish various content types such as gallery, standard, video, audio etc. You will have some shortcode which you can use to implement lot of content blocks such as accordions, column, dropcap, Google map, tabs, toggles etc. If you are a photographer & want to create a stunning photography website then here you go. This theme will allow you to create a fantastic photography website. It features a carousel slider for featuring most valuable information. Not only that, you can the filterable gallery showcase to display your portfolios. For making the communication system more easier this theme integrates the most popular contact form 7 plugin along with Google map. now this time I am visiting this site and reading very informative articles or reviews here.